If you thought that the Pop! 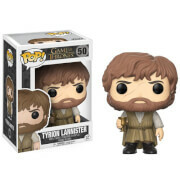 Vinyl version of Tyrion Lannister was adorable before, then wait until you see this Game of Thrones Tyrion Lannister with Scar and Battle Armor Pop! Vinyl Figure! 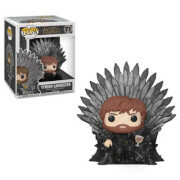 Featuring the Imp of the Lannister household as a 3 3/4-inch tall vinyl figure stylized in the Pop! 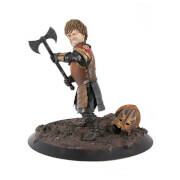 Vinyl form, this great figure shows Tyrion wearing his armour from the Battle at King's Landing and sporting the nasty scar that he received from it. It's the perfect item for the Game of Thrones fan in your life!